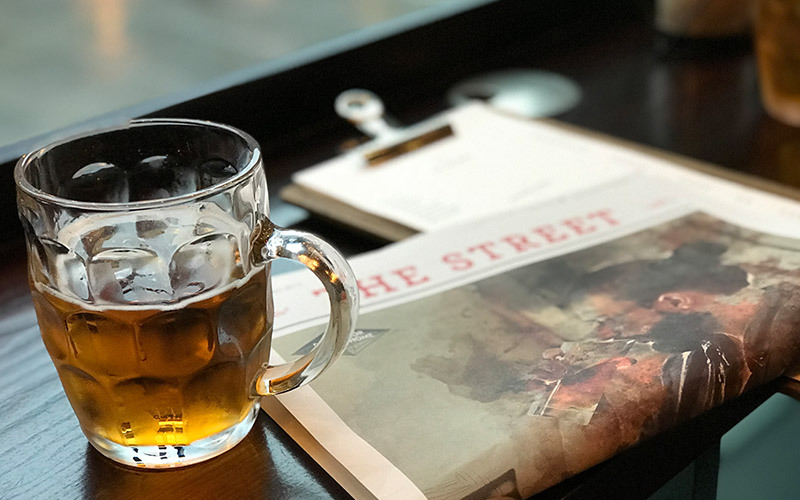 Store Street Exchange restaurant and Store Street craft bar are THE LATEST food and drink BRANDs to be added to VALOR HOSPITALITY’S expanding PORTFOLIO. 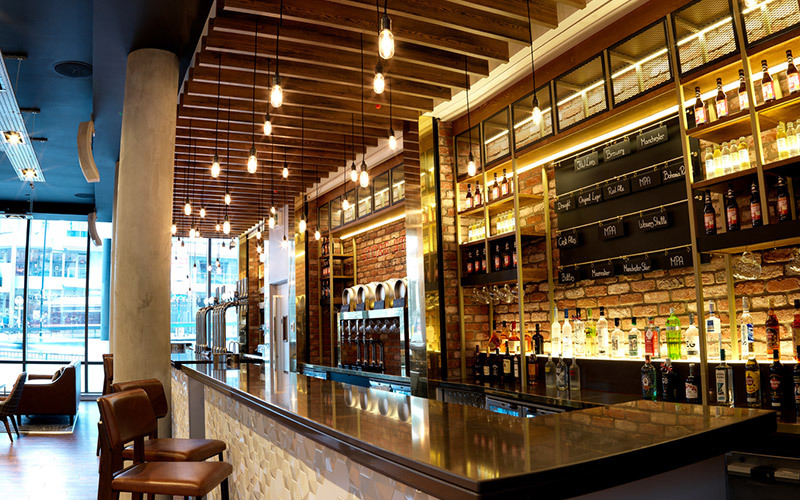 The latest Valor Hospitality Europe hotel to undergo a food and drink rebrand is DoubleTree by Hilton Manchester, based just a stone throw away from Piccadilly Station. 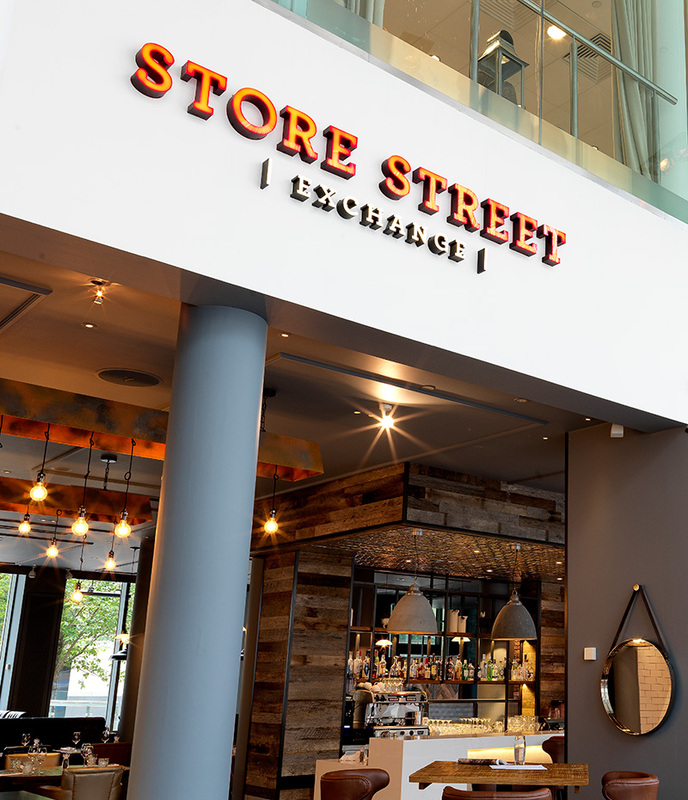 Store Street Exchange is a culinary hub based on the ground floor of the hotel, is a cosy and ambient restaurant where diners can sink into comfy leather chairs whilst rotisserie chicken and other dishes cook in the open kitchen. Across the way, Store Street Craft Bar offers local craft beer and a signature gin. 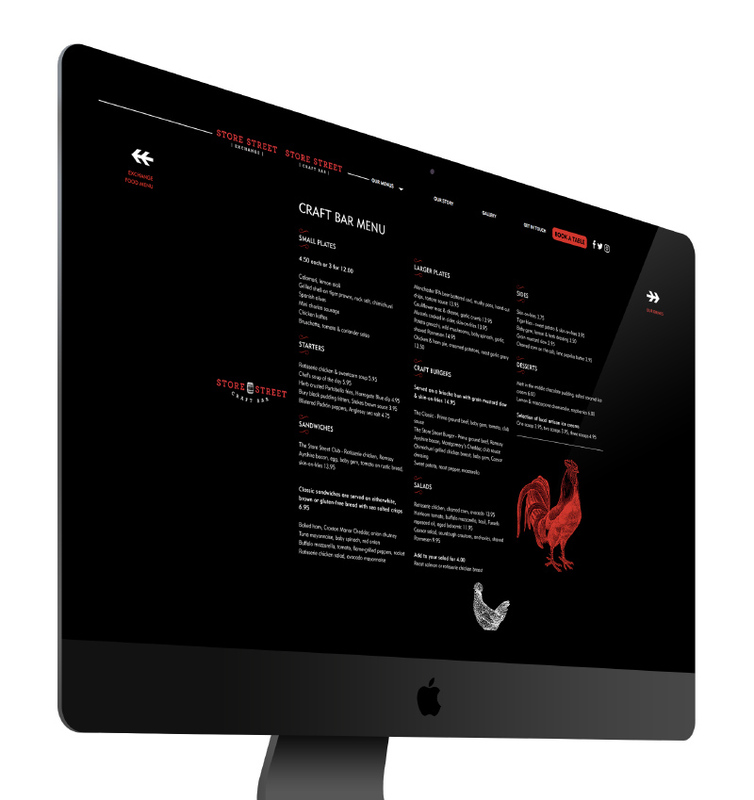 Cuckoo were appointed to develop the brand identity and a fully integrated marketing strategy for Store Street Exchange, and position the space as a truly unique and exciting destination as opposed to just a hotel restaurant and bar. For the Store Street Exchange brand development project we wanted to create something that really complimented our city and enhanced it’s already thriving food and drink market, Store Street offers something unique. 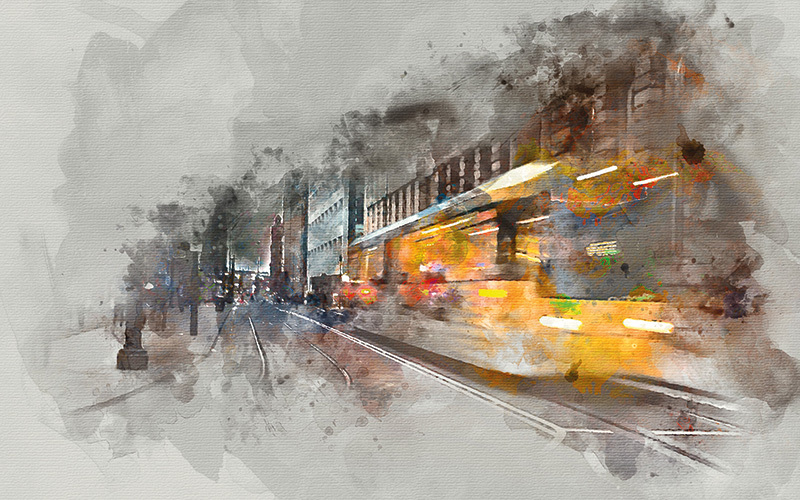 Starting with the development of the name, we saw an opportunity to pay homage to the beautiful history of Manchester, specifically the area where it is located, Store Street, Auburn Street and Manchester Piccadilly Station were all instrumental in creating the name and proposition. The Station was formally known as Store Street Station back in the 18th century, this for us was the natural direction to take the brand and a concept that felt not only timeless but also very English. Our inspiration derived from the beautiful and timeless paintings and illustrations seen throughout train station posters from the early 20th century. We created a brand and imagery language that captured a moment in time, perfectly complimenting how the restaurant and bar Would be a haven of escape and downtime for its clientele. These posters we’re works of art in themselves, of craftsmanship, care and detail. This look would therefore portray the restaurant and bar’s proposition so well. In addition to the brand look and feel we developed all tangible assets such as outdoor and indoor signage, menus, external banners, point-of-sale and invites to their launch event as well as digital elements such as email campaigns and full social media management. We enlisted the help of a PR duo to create a buzz amongst influential people and groups in Manchester and promote Store Street Exchange through press releases, editorials and celebrity attended events.